Into the second half of a tight but high scoring game, we would expect nothing less from these South American powerhouses. Neither country provided hot showers on a consistent basis, on too many occasions room temperature was to be considered “hot”. Toilets however are a different matter, while both countries offered toilets there was a big disparity between them. Brazil offered toilets that ranged from a hole in the ground/squat style to bidets. Unfortunately for Brazil their sewage system can only cope with organic waste meaning used toilet paper is to be placed in a (usually lidless) bin sitting alongside the toilet. This leads to much unwanted odour and even less wanted flies. Fortunately (or maybe unfortunately) my bowels come equipped with a hygienic-toilet-sensor. If the toilet is not of suitable quality and cleanliness my bowels refuse to evacuate. Three days was the limit in Brazil, not even close to the nine days I endured in southern Africa. Both countries provided cable television with a large array of channels, filling all of the normal genres, infomercial, history, natural world, movies, comedy, religion, cooking, drama/soap operas, and news. In addition both offered a tourism channel either specific to the local area or country. Both countries offered some English language shows – both learn to speak English, and shows broadcast in English with Portuguese or Spanish subtitles. Except for CNN news which was available in English or Portuguese (either way it was light on in respect to actual news content) Brazil only offered the occasional entertainment show in English. Thankfully one of them was Seinfeld. Argentina showed off by having dedicated English broadcasting channels, Comedy, old movies, what appeared to be a channel dedicated to House and a drama channel. Unfortunately for Argentina they got a bit cocky and let one slip past the keeper when programmers schedules According to Jim to have 4 timeslots per day on the comedy channel. According to the video referee the score is now 4 all. Argentina offers the tango, lots of tango. A dance that although originating in Argentina in the working classes was not accepted as a favourable style until after it was popularised in France. Tango is a dance of power, athleticism, grace and seduction – if done correctly. At a dinner and show there was one couple where the woman appeared to be on a piece of string. She twisted and turned as her partner appeared to effortlessly fling her around, body continuously intertwined. This was followed by an old couple – who had to be the owners to be given any stage time – who merely shuffled around the stage roughly in time with the music. Brazil offers Capoeira, the ‘fight dance” a style evolving out of the martial arts of the African slaves sent to Brazil between the 16th and 19th centuries. It has gone through its political challenges paralleling the changing attitudes to slavery in Brazil. Banned in the late 19th –early 20th centuries Capoeira is now celebrated as an important aspect of Brazilian culture. It is aggressive, combative rhythmic and strong coupled with percussion driven music. It appears to be a dance performed by men. Both dances when performed at their best are unique and spectacular. Argentina is a lot more orderly, lane changes are still unexpected, but traffic lights, speed limits etc are followed. Electric power is something that just bugs me during travel. The world has come to agreement on passports, airline tickets, USB ports, batteries, and the ingredients of a Big Mac and yet the plugs for electrical appliances still differ around the world. 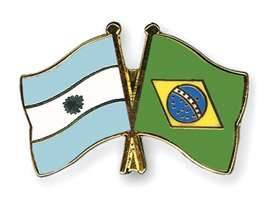 Agents will advise travellers that Argentina and Brazil both utilise the “European” style plug. No –one appears to have told Brazil. In one hotel there were four different shapes and sizes of sockets (the hotel could not even chose which one to use) and none of them were the European style. The hotel’s adaptors did not accept the Australian plug so I had my charger plugged into and Australian-European adaptor which in turn was plugged into an European-Brazilian factor. Argentina follows the rules and uses the European style plug. Travelling around Brazil and Argentina both in the cities and across rural desolate areas wifi was always available and it was free! Sure sometimes the connection was slow and had tendencies to drop out if you did not stand with one foot in the air, but it was there. Australia has never really been able to compete in the world game. Both countries are Catholic and therefore have grand cathedrals in their cities, and some interesting churches in their regions. Opulent in their decor with mosaic floors, artworks, sculptures stained glass windows and shrines. Argentina however do not charge visitors. even when funerals are in progress. Tourists are welcome to wonder everywhere in the building except to the alter itself and take as many photos as they like, with or without flash. The security and church officials did not mind, the mourners were not put out and it was free. Both countries charge a reciprocity fee for Australians to enter the country. Brazil require it to be paid in advance through your local Embassy/Consulate and an appropriate visa is glued into the passport. Argentina it is paid upon entry at the airport – if you remind them. If you do not remind them it is US$100 extra in your pockets. Argentina wins in a penalty shoot out 1-0.